The market for stem cell products and technologies is a rapidly evolving industry, largely because stem cells are a relatively recent, yet highly lucrative, discovery. While the first mouse embryonic stem cells were derived from embryos in 1981, it was not until 1995 that the first successful culturing of embryonic stem cells from non-human primates occurred and not until November 1998 that a technique was developed to isolate and grow embryonic stem cells from human blastocysts. In 2006, induced pluripotent stem cells were produced for the first time from mouse cells, and, in 2007, they were produced from human cells. Furthermore, it was not until 2008 that the first full transplant of a human organ grown from adult stem cells was performed when a section of a trachea was transplanted into a woman in Spain. When characterized by stage of life, stem cells can now be derived from embryonic, fetal, post-natal, and adult tissues. Induced pluripotent stem cell technology can also be used to reverse engineer differentiated adult tissues back to an embryonic stem cell like state. To facilitate research resulting from these advances, a large and diverse stem cells products market has emerged. The market for stem cell products now represents a multi-billion dollar industry, composed of two segments - stem cell research products and stem cell therapies. To sell stem cell research products, you need to be able to take advantage of new opportunities before your competitors are even aware of them. 1. Market growth is increasing revenue opportunities. The key first trend to recognize is that the market has grown into a multi-billion dollar industry. This is because growth in stem cell research has exploded in the past decade, and so the market to supply stem cell products has grown to meet this huge demand. There were 17 companies selling stem cell products in 2004. 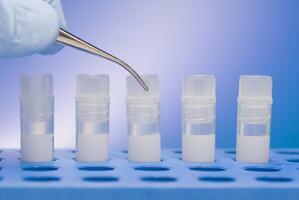 There are now more than 100 companies offering stem cell products. There are now over one million stem cell researchers worldwide. 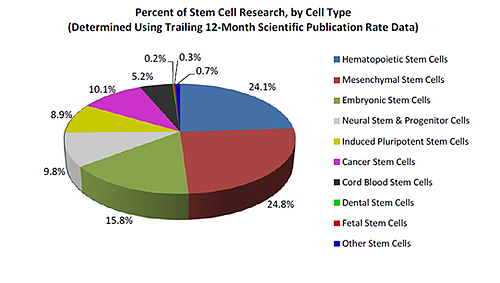 Full-year 2013 analysis determines the size of the stem cell research products market (including stem cell antibodies) to be $3.22 billion. In total, the stem cell product market now represents one of the most lucrative areas within the research products market at large. 2. Market consolidation is increasing specialization. The second key trend to recognize is that market consolidation is occurring within the stem cell products sector, such that specialization is essentially requisite to compete within this space. 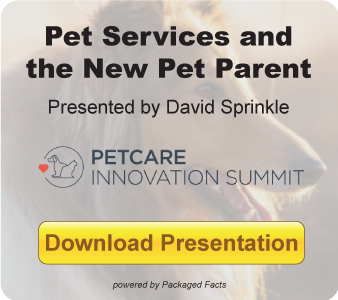 Dominant competitors in this sector include: Thermo Fisher Scientific (recently merged with Life Technologies), STEMCELL Technologies, BD Biosciences, Lonza, and Cellular Dynamics International, as well as over one hundred other suppliers. With the recent merger of Thermo Fisher Scientific and Life Technologies that occurred in February of 2014 – each individually a force within the stem cell products space – the merged company has established market dominance. Also, in a 2014 survey of stem cell researchers worldwide, BioInformant identified Thermo Fisher Scientific (including its acquired “Life Technologies” brand) as the #1 preferred brand by stem cell scientists. Interestingly, STEMCELL Technologies was the second most preferred brand by stem cell scientists, a remarkable finding as the company specializes exclusively in stem cell products. Because it is difficult to compete with the size and scope of Thermo Fisher Scientific, for most market participants, specializing as a provider of stem cell research products represents a more likely path to market dominance. 3. Market segmentation is identifying high-revenue areas. When this analysis was last conducted for full-year 2012, hematopoietic stem cell research led mesenchymal stem cell research, but that relationship has since switched. As such, mesenchymal stem cells now represent the most active area of stem cell research. In summary, use the three key findings above to take advantage of new opportunities before your competitors are even aware of them. Check out all BioInformant reports on the stem cell industry! The blog post is written by Lance Breastgoff, Head of Project Management at BioInformant Worldwide, L.L.C.